January 16, 2014 4:00 am / 1 Comment on One Down, Nine To Go! One year ago today it all officially began! Boarding the plane in Charleston, SC for Nassau on January 16, 2013. One year ago today (January 16), with 11 suitcases and 5 backpacks in tow, we boarded a plane in Charleston, SC bound for what was destined to be one of the biggest adventures of our lifetime. As we reflect back on that day and remember it as if it were yesterday, we recall the emotions we were experiencing: sadness from the previous weeks of tearful good-byes to family and friends, relief that our worldly possessions were successfully disposed of (given away, stored at family’s homes in the states, or packed in the 20 foot shipping container en route to Nassau), and excitement and wonderment from the anticipation of what was to come. Blatantly absent was any feeling of reservation for what we were doing. Not once did we feel a doubt that we were doing the right thing. We testify to God’s faithfulness to us in that He paved our way en route to Nassau just as He continues to pave our way each and every day as we labor here. Trust in a sovereign God who controls all aspects of our lives provides not only comfort but also the ability to trust that what is happening or will happen is for His glory and our ultimate good. 2–When we arrived in January of 2013, we had ideas of what we wanted to accomplish and what we thought God would have us do while we are here. In many ways, our first year looks nothing like we had envisioned it being. God has used us in ways to do things we could never have imagined before we arrived. 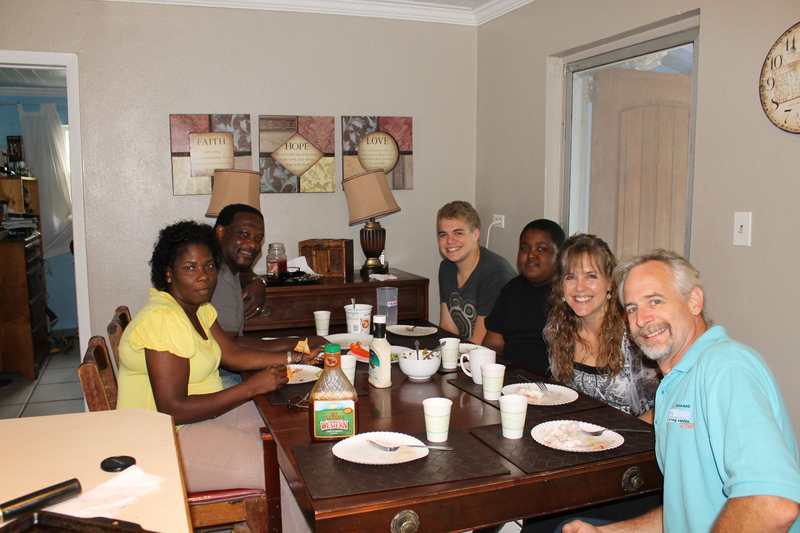 3–We love ministering to people and building relationships. Hospitality is our gift. Getting to share our table with others happens often, and it such a joy for us.. Guests that we served (and onsite staff) at camp for the 20th Anniversary Celebration in September. 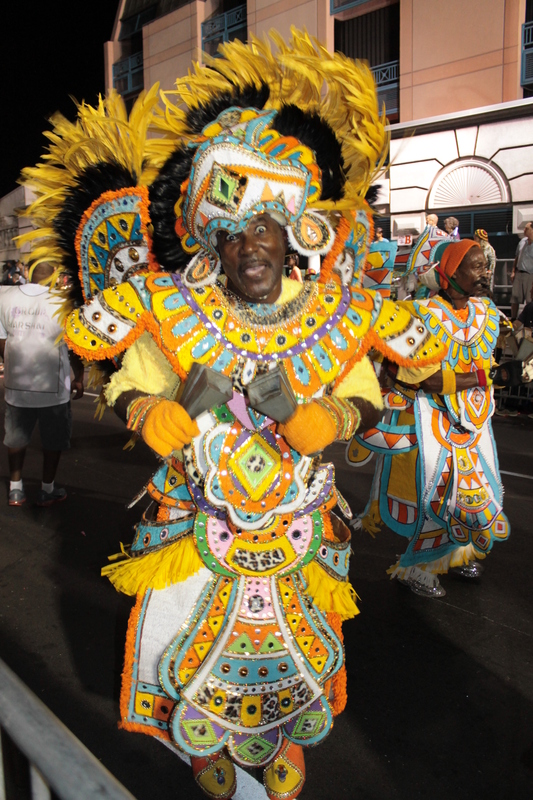 4–How easy and quick it is to fall in love with the Bahamian people. 5–During hard times when we are tempted to doubt, God uses the smooth, paved road He gave us in getting here to show us His past faithfulness to us so we can be encouraged and strengthened to continue our journey. 6–In ministry work, blessings far outweigh the hardships. 7–Grieving the loss of something (not just death of loved ones, but losing comforts and normalcy of life, saying good-byes) is not necessarily sinful. When we said yes to God’s call for us to go to The Bahamas, we knew one of the hardest things we were going to have to face is saying good-bye to those we leave behind in the States. 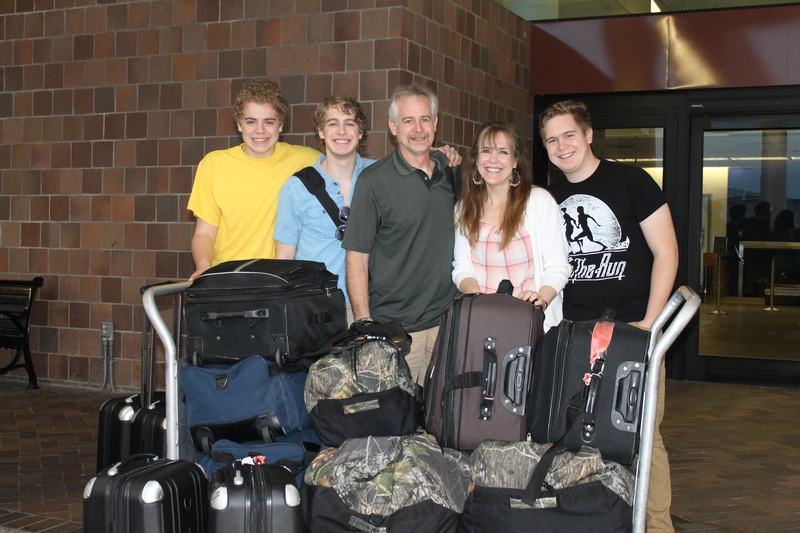 Especially hard, is saying good-bye to our adult children who live in the US. 8–Good-byes and short term relationships are just a nature of the business. Another reality that makes an eternity spent never saying good-bye that much sweeter. 9–Nothing is certain except that there is going to be uncertainty. Flexibility and trust in our Sovereign God is necessary. 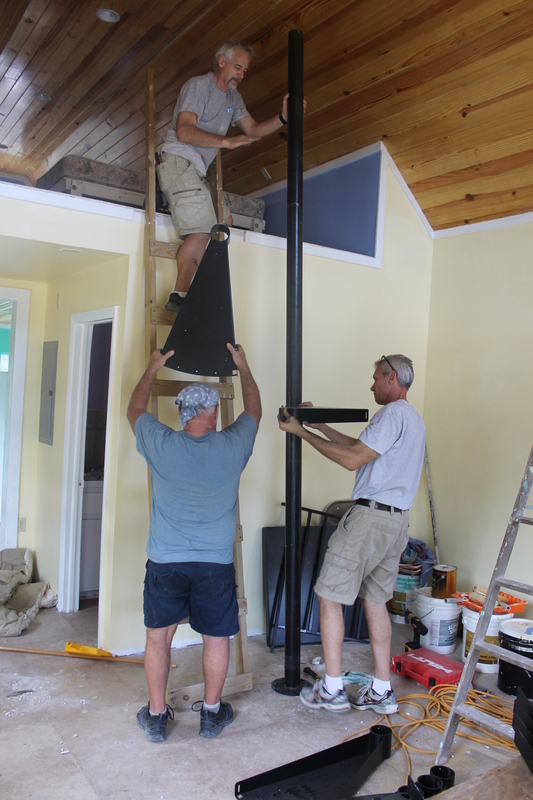 11–Driving, shopping, working on construction projects (navigating permits and codes) in the Bahamas are not only different than in the USA, they can be very frustrating experiences. 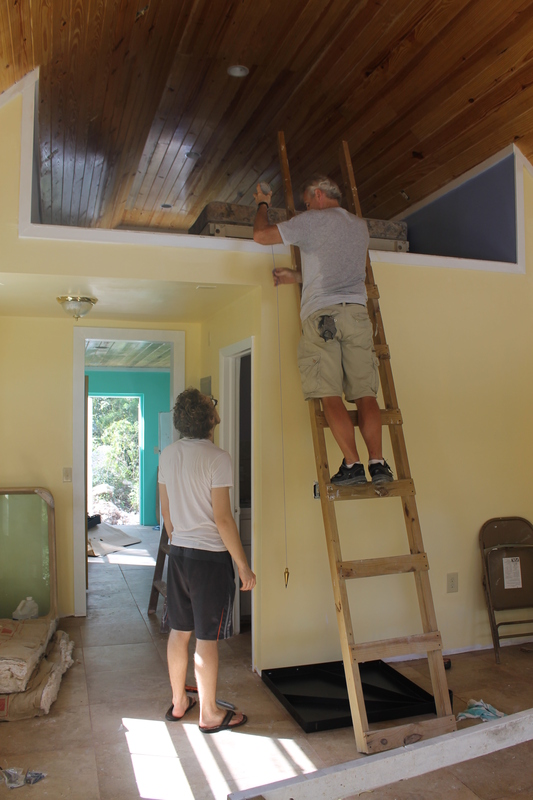 This year we were able to get a lot of projects completed (electric up grade, construction of the meter house, completion of the girl staff cottage, completion of the bathhouse/laundry room), but not without a lot of leg work, research, multiple calls and follow-up calls. Thank God for relationships with people in “high” places (ie Ministry of Works) who help us navigate these new waters. 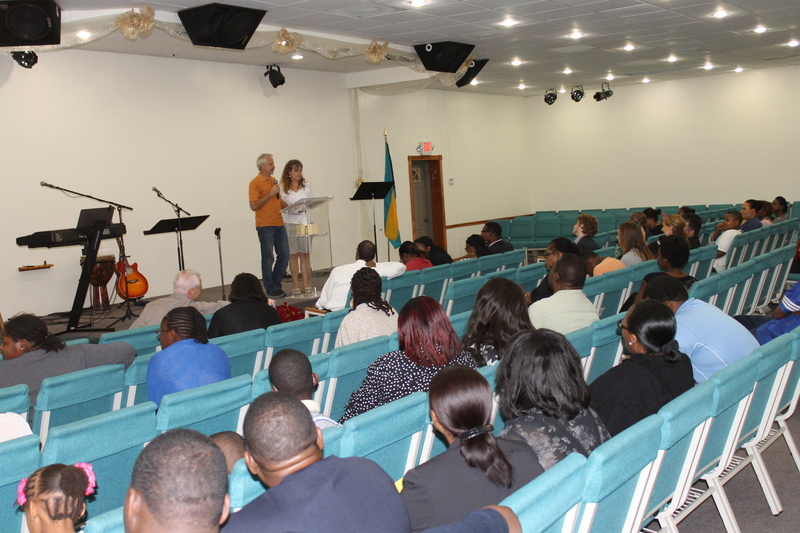 12–Just when we thought we would never be able to find a church like our beloved church in Minnesota and our beloved church in Wisconsin, God graciously guided and directed us to an equally good church here in The Bahamas. God is good! 13–If God ever calls us away from The Bahamas, it will be every bit as painful as moving away from Minnesota and from Wisconsin. 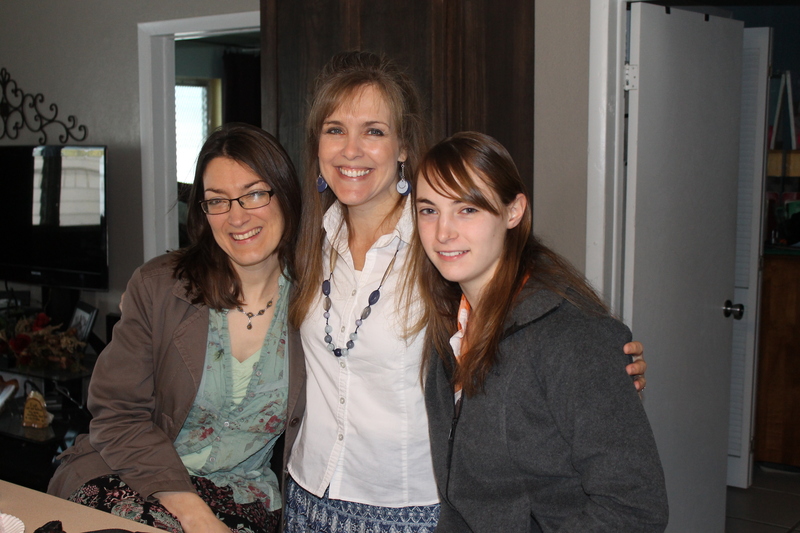 Our first visitors from home…Sheila Eisermann and Kate Aloisi from our sending church in Viroqua, Wisconsin came for a week the first part of March. It was an encouragement trip/mission team fact finding trip. We loved having these ladies. 14–How important and encouraging it is to have people from back “home” come for a visit or at least contact us. Although we are surrounded by people we love and enjoy being with, there is nothing like being with people from back home. A simple email saying hi and that you are thinking about us goes a long way in alleviating homesickness. So many more lessons…but there is not enough time and space. We look forward to 2014 and what God has planned for us. 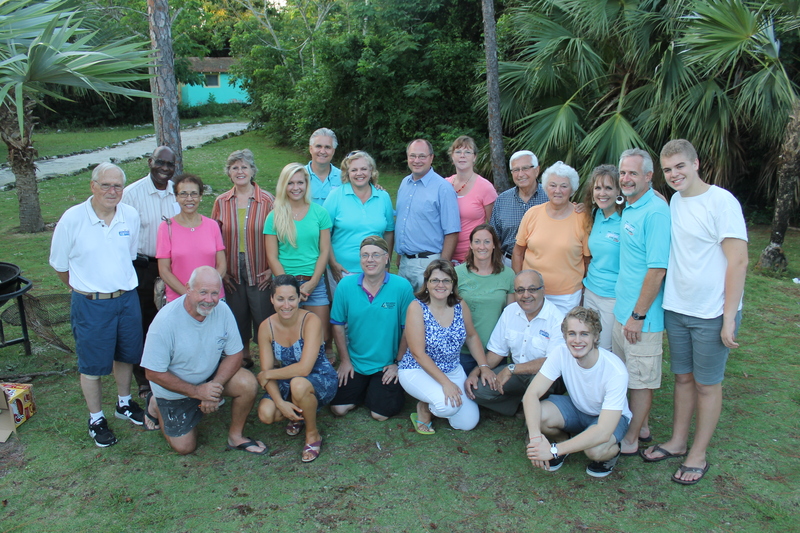 We serve an awesome God and feel so blessed to be a part of the Adventure Learning Centre and Camp ministry here in The Bahamas. January 16, 2014 looks far different than January 16, 2013. Today we are all settled in with a whole new perspective of what the Bahamas is and what the ministry work we are doing is. Last January 16th we were the ones being welcomed to the island, but today we are the ones doing the welcoming to the island. We have 98 young people and their leaders coming to Adventure Learning Camp from Florida. This is the biggest group we have ever served at camp, and we are looking forward to being a part of this great endeavor. Last January 16th we were tired from 3 months of planning, packing, sorting, discarding, traveling, support raising, etc. Today we are tired from all the work it takes to get a camp that comfortably accommodates 72 people to a camp that accomodates 98 people. How exciting it all is! 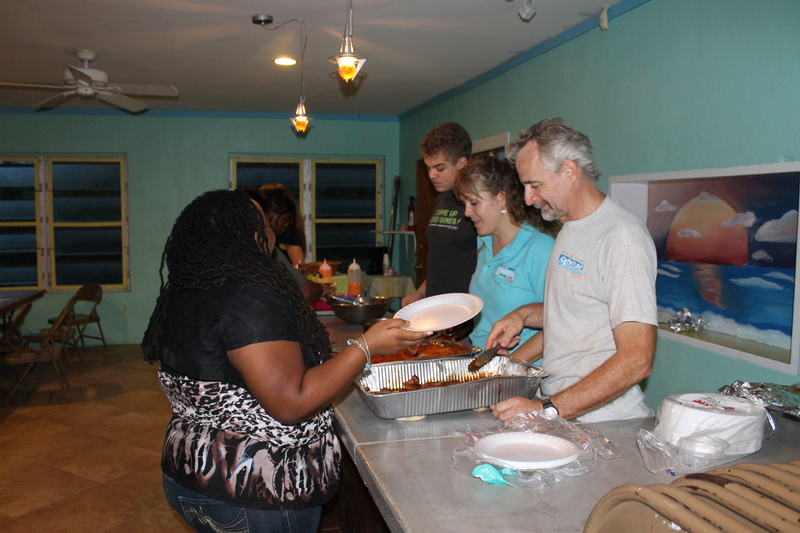 As our first year was spent focusing on learning the island, culture and ALC ministry and making improvements to the camp facility, it is our heart for the second year to focus on building relationships with Bahamian people- individuals and local churches. 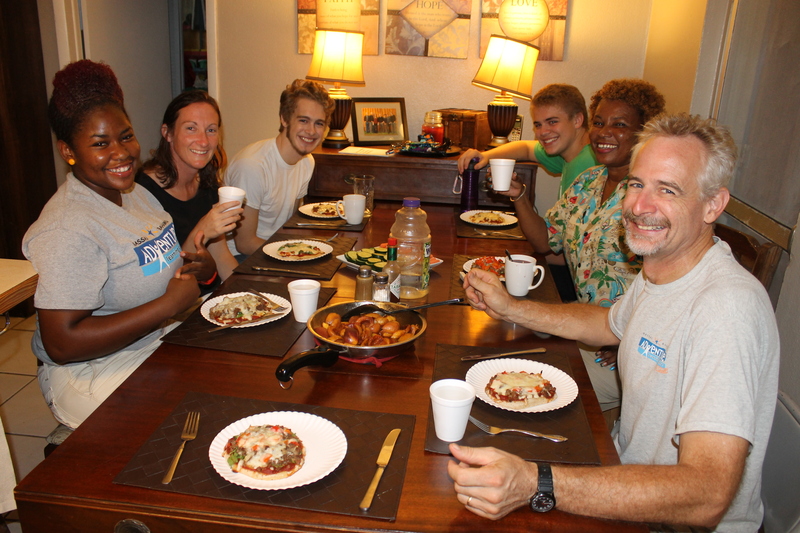 Relationships with Bahamian individuals, churches and groups is our focus for this second year. 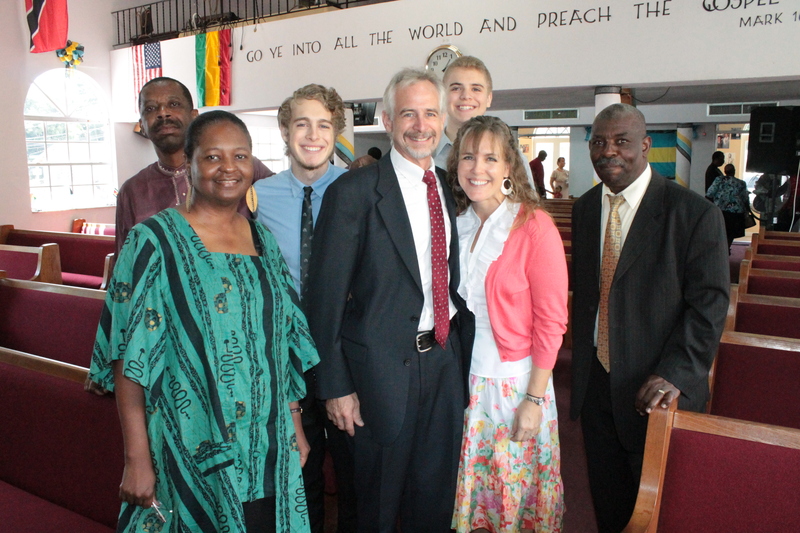 God used our involvement with East Street Gospel Chapel’s Missions Conference this past September in many ways. Brother Bradley King (back left) has been a great friend, and as an engineer at the Ministry of Works, he has helped us out a lot. As we look ahead to a new year, we thought it would be the appropriate time to remind everyone of ways you can stay connected. 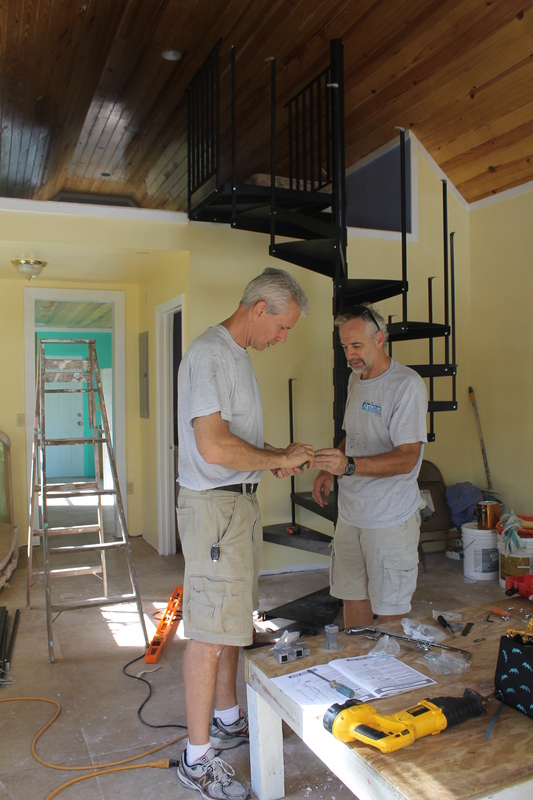 Like us on Facebook: Like ‘The Seeley Family Serving in the Bahamas’ and receive more timely updates on our ministry work. Follow us on our blog: Have you opted to “follow” this blog? You may do so by clicking “follow” above. We would like to reach a milestone of 500 followers this year. We are in the upper 300’s, so please consider following our blog, if you have not already done so. Email: Are you on our email list? We periodically send out emails to give updates, alert people of blog entries, mention special prayer requests, and occasionally send out an email newsletter (most of our updates are done through the blog). If you would like to receive emails from us, you may email us your request that you be added to our emailing list. You may also send your request through this blog by clicking on the tab that says “newsletter sign-up” above. Many of you are probably scratching your head by now and trying to figure out what in the world we mean by, “One Down, Nine to go.” Well, first of all, if you read through this article trying to figure it out, we accomplished our main objective. The cryptic title drew you in and made you want to read more. Now for the real meaning behind the title: it is just another way of saying we have made it through our first year of ministry work in the Bahamas. When asked how long we plan to stay in the Bahamas, we generally tell people we have committed to working at the ALC for 2 years. 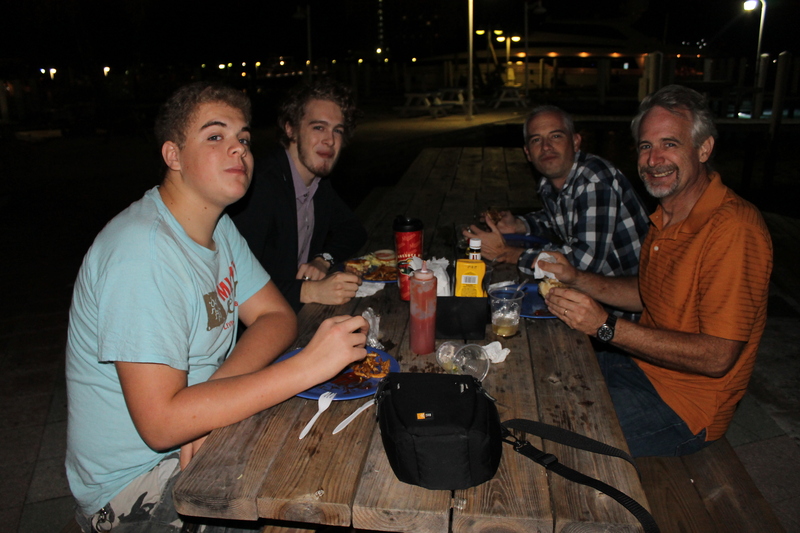 Our ultimate goal (from our human perspective) is to train a Bahamian to take over the ministry within 10 years. In all actuality, we have no idea how long God intends to keep us here and willingly submit to His guidance and direction. We will be here until He tells us to go somewhere else. Thank you for supporting us with your thoughts, love, prayers, and financial contributions during our first year of service at the Adventure Learning Camp in The Bahamas. We appreciate you and look forward to continuing the work God has called us to do to further the kingdom of God! Amid tearful good-byes, God blesses with happy reunions! 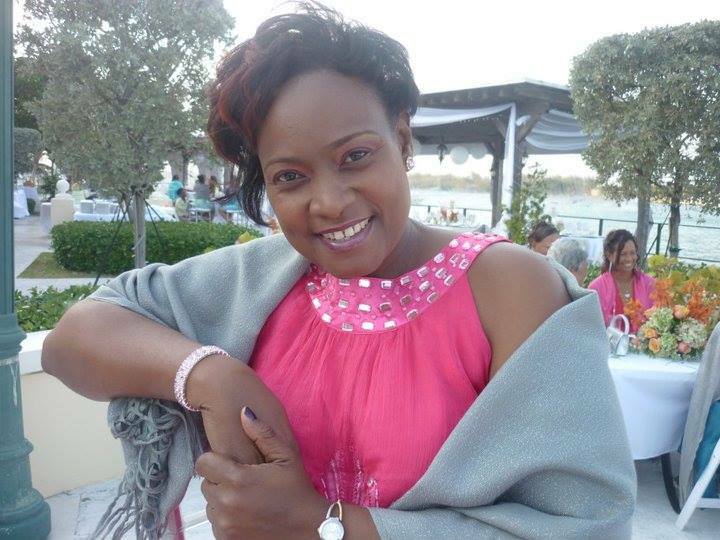 For the last week, we have been weeping with our brothers and sisters at Kingdom Life Church as we mourn the death of a dear lady, Keva Poitier. For the short time we knew this godly lady, she inspired us and encouraged us in our walk with Jesus. As painful as Keva’s death is to us personally, it is the pain we are seeing in our Kingdom Life Church family that is causing us to suffer the more. We understand the bond that exists among church members and the pain associated with losing one of them. 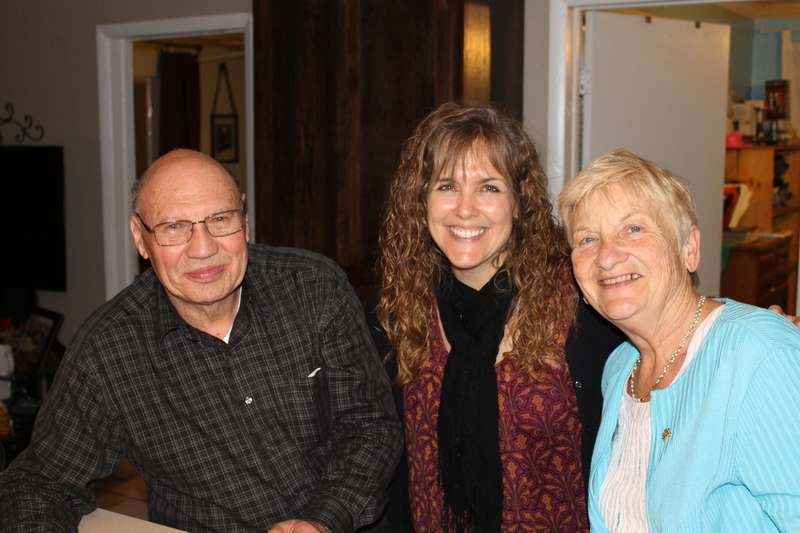 We went through four separate, unexpected losses in our church in Minnesota. The pain of losing Keva brings back those memories. Because we have tasted this bitter cup before, we know the relief and comfort that comes from God Himself. He will comfort our grieving hearts. Death has not been the only loss we have felt these past weeks. 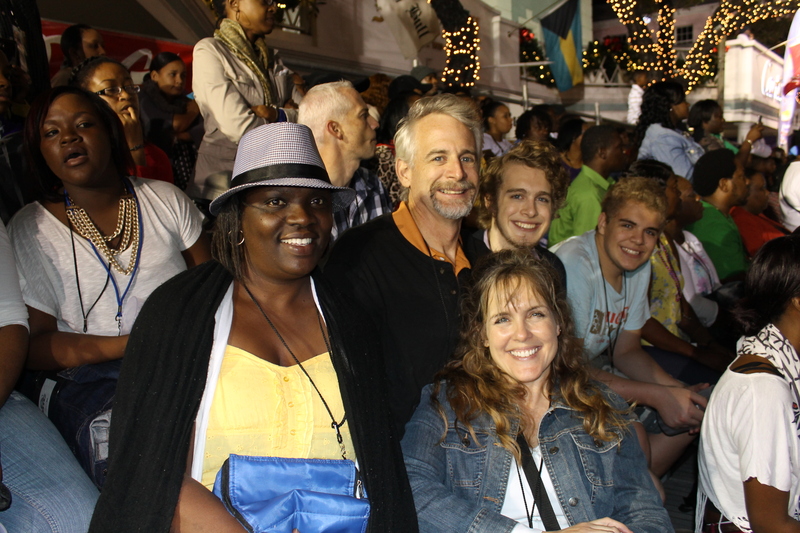 Although we enjoyed the novelty of being in The Bahamas for Christmas and God graciously provided us with a sweet, special time with new friends, the absence of our family and “normal” tradition was still painful for us. 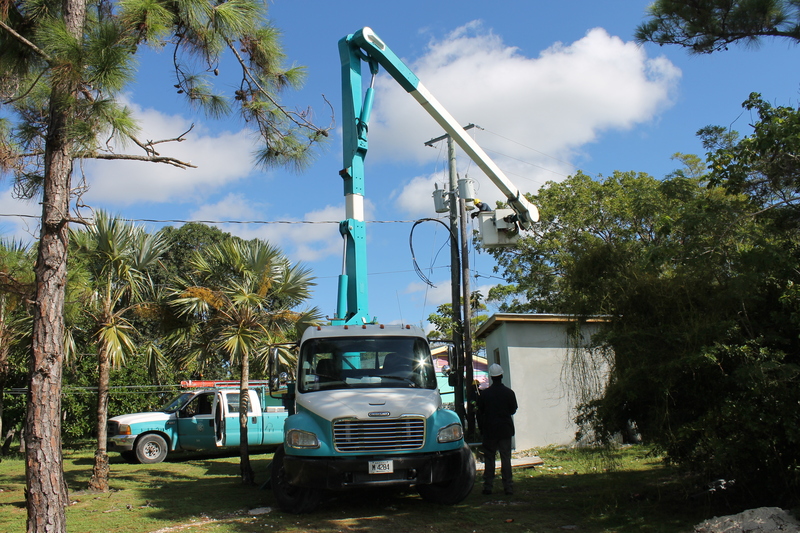 Additionally, over the past several weeks, we have said good-bye to friends and have received news of other families we have met and grown close to here in the Bahamas who will be leaving the island in the next several months. One would think that after two significant events (2009’s move from Minnesota to Wisconsin to work at Living Waters Bible Camp and 2013’s move from Wisconsin to Nassau, Bahamas to minister at Adventure Learning Camp) which forced us to say good-bye to many relatives and friends and friends from 2 great churches, we would be accustomed to saying good-bye, but it is no less painful saying good-bye to dear friends now as it was then. The one comfort that we do have is that we know better now that we need to trust and lean on Jesus for our comfort and healing. We know He heals broken hearts and guides us through these painful experiences in His way and timing. Isaiah 26:3 (ESV) says, “You keep him in perfect peace whose mind is stayed on you, because he trusts in you.” We also rest in the fact that this life on earth is brief, and we will have all eternity to commune with those we do not get to see regularly here on this earth. We ask you to pray for us in this time of grief and loss that God would comfort our sad hearts and that He would show us how to rely more fully on Him for contentment, comfort and peace. This coming summer’s loss of dear friends and Logan’s leaving to go back to Minnesota to attend college next year will be a very trying time (for Mindy especially). Jen Rogers and Michelle Brisbin arrived back in Nassau on January 6. 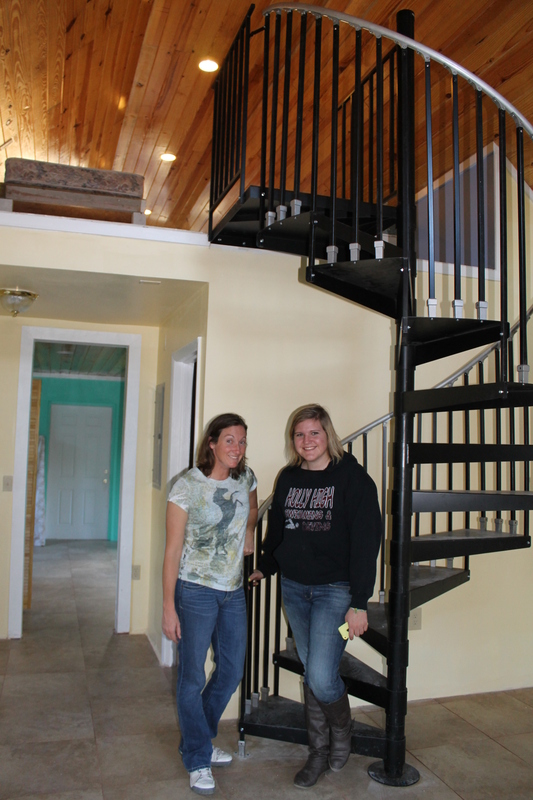 We gave them a tour of their future home, the girl staff cottage. Bob and Faye are back! It is hard to believe that it has been 9 months already since they left. We are so glad they are back for the next 11 weeks. With all those (tearful) good-byes, there are many welcome homes and welcome backs as well. This week, ALC staff and volunteers returned from holidays in various places. Jen Rogers (ALC Facilitator and Curriculum Writer) came back from her 3 week holiday in Colorado. 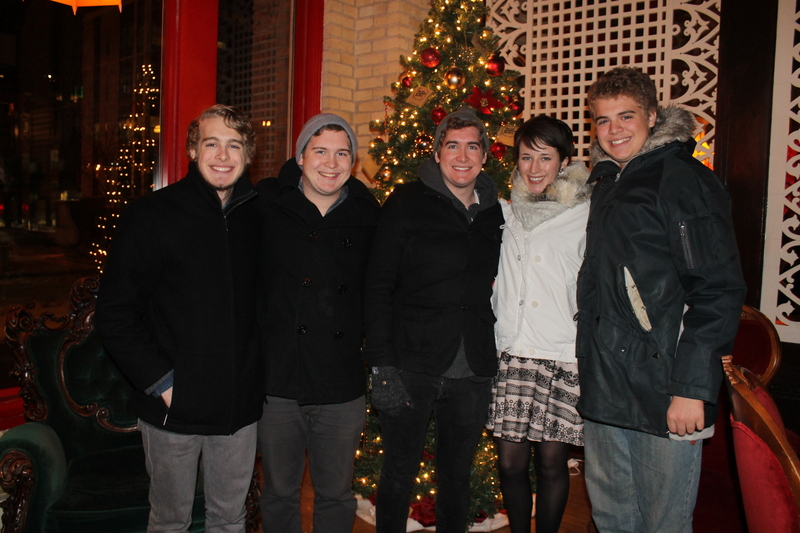 Michelle Brisbin (ALC Facilitator) came back from her holiday in Wisconsin. Bob and Faye Browning, a couple from Canada who have been volunteering here at ALC for several months over the past several years, joined us from their frigid Ontario home and will be here until late March. It is such a blessing to have them back. Last week and this week have been consumed with preparations for a large group that will be coming here January 16-January 21. Nearly 100 young people and chaperones from Calvary Chapel Fort Lauderdale will be here for a mission trip. 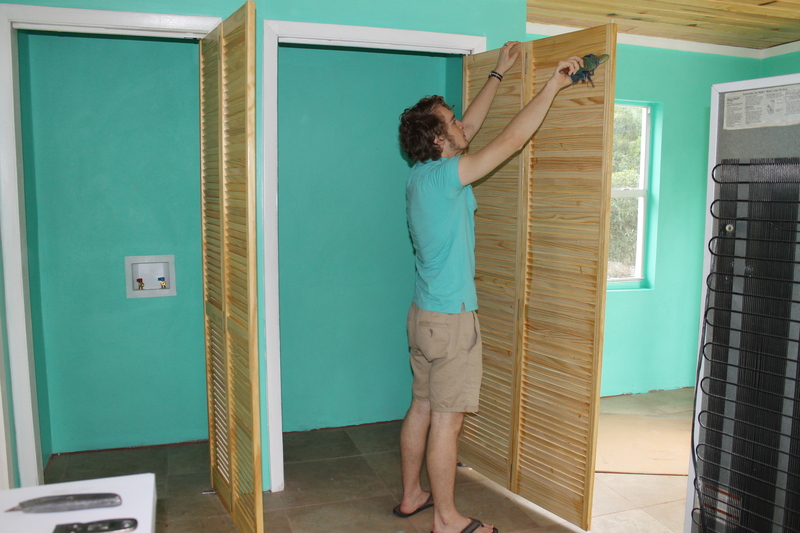 We have been busily fixing up cabins, putting together bunks, ordering kitchen supplies to accommodate the large group, and getting things ready for their arrival. We have never been here when there have been so many people. It is exciting, and we are looking forward to serving so many at one time. Please pray for us! You will notice that it has been only a little over a week since our last blog. There aren’t as many pictures to share this time. Enjoy getting caught up nonetheless! Have a great week! 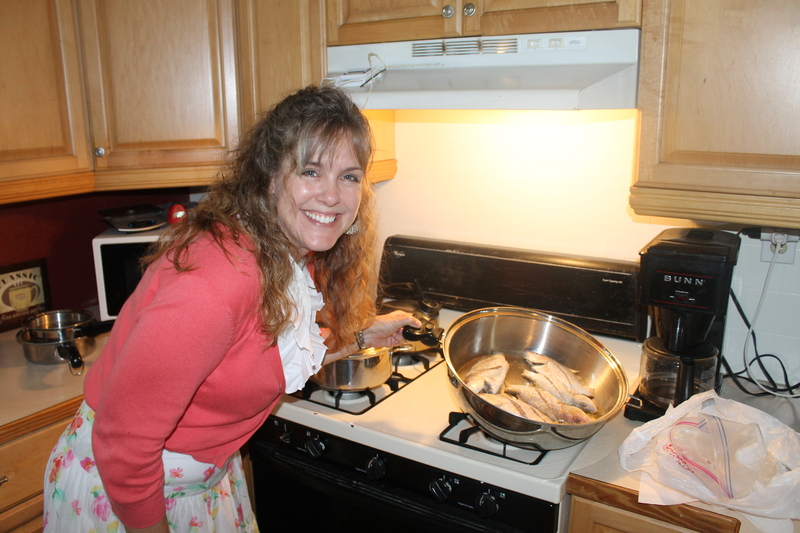 …and fried snapper. The fish turned out great, but the peas n’ rice need a little more work. 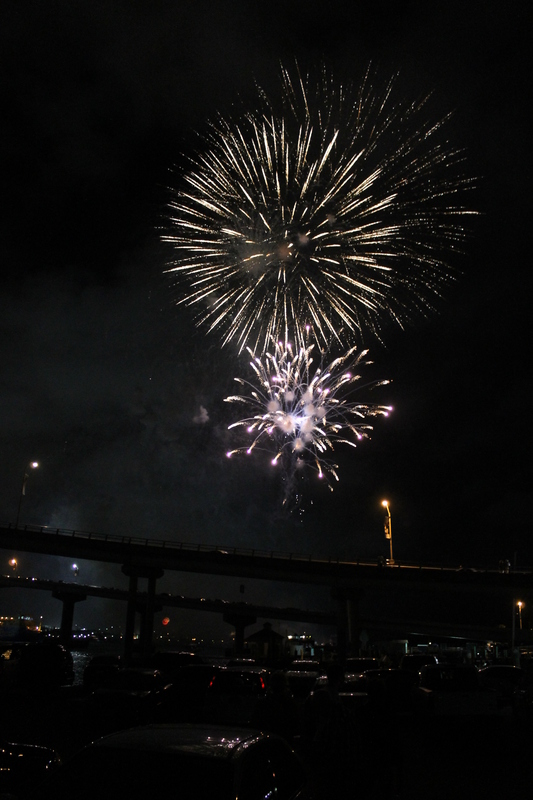 …ring in the New Year with fire works. …with Faye Bascom and Pastor Keith Bunting from Kingdom Life Church. 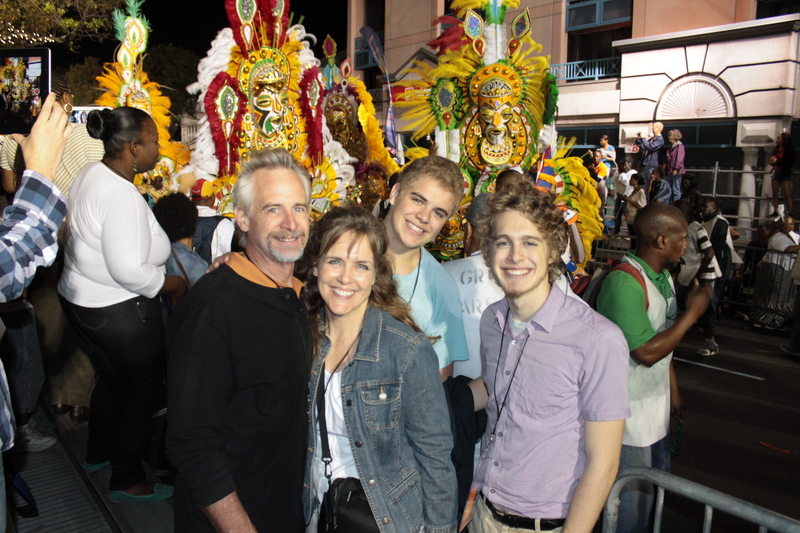 On New Years Day, we got home from Junkanoo around 445am and slept in until about noon. 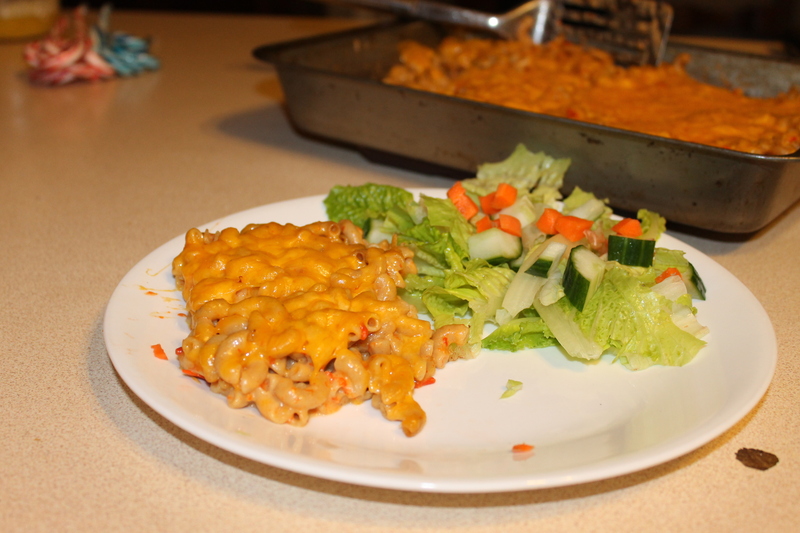 Later that day, we made another Bahamian dish- baked macaroni and cheese. (We cheated and made it a little healthier than normal. We used whole wheat pasta and less cream). It was pretty good for our first attempt. Sean and Christine Wilson joined us Friday for lunch (RJ, Zachary’s friend and son to ALC’s office manager Eldora is with us often). 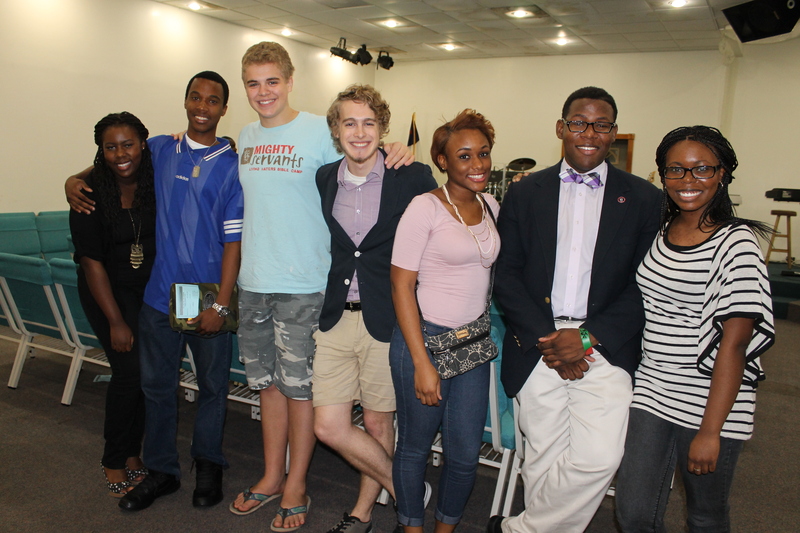 On Saturday, January 4th, we welcomed our first group of 2014 to Camp. 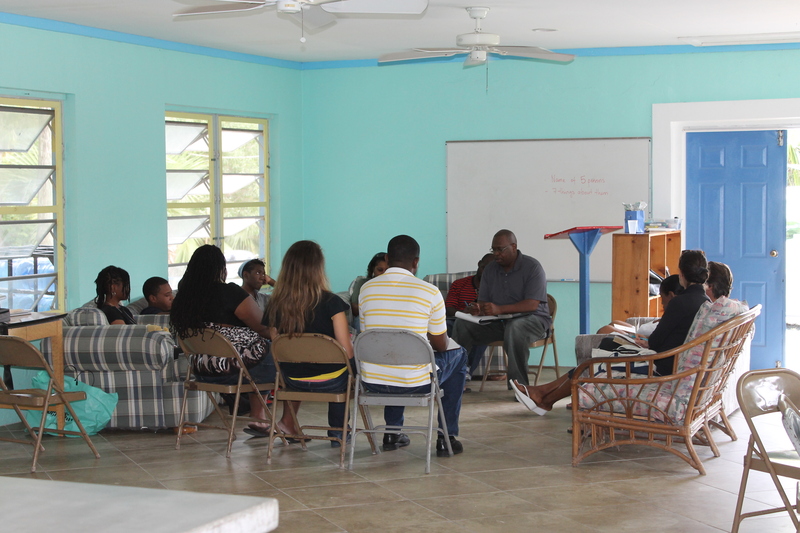 This is a youth ministries leadership retreat for members of New Providence Community Church. 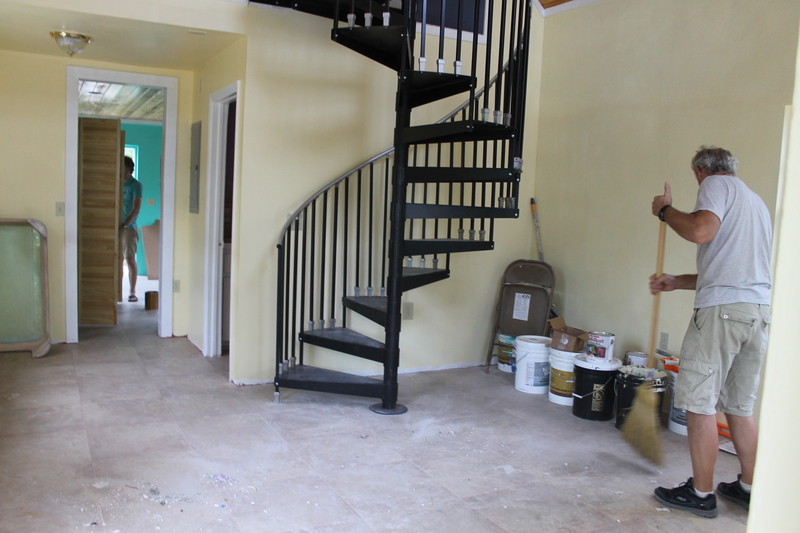 Tim worked on cleaning the cottage. It felt so good serving guests again. 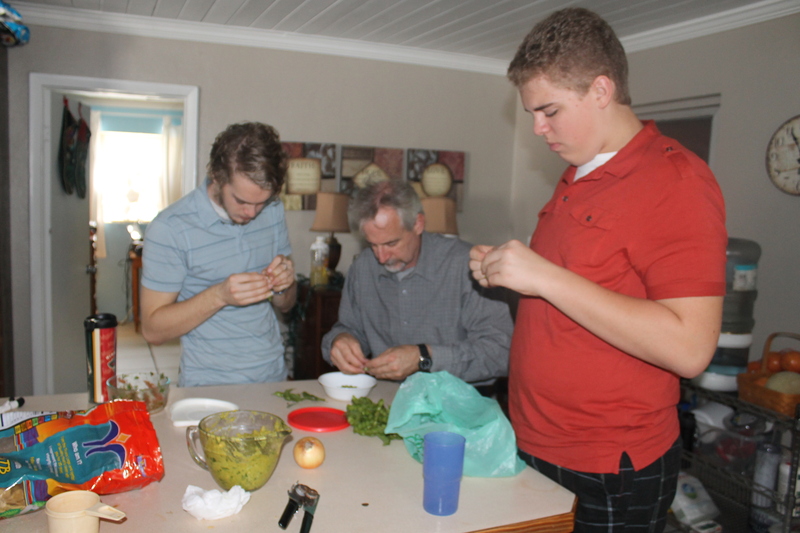 One of the traditions we used to do when the boys were little and had tried restart last spring (and haven’t had time to do much since) was a weekly family night. 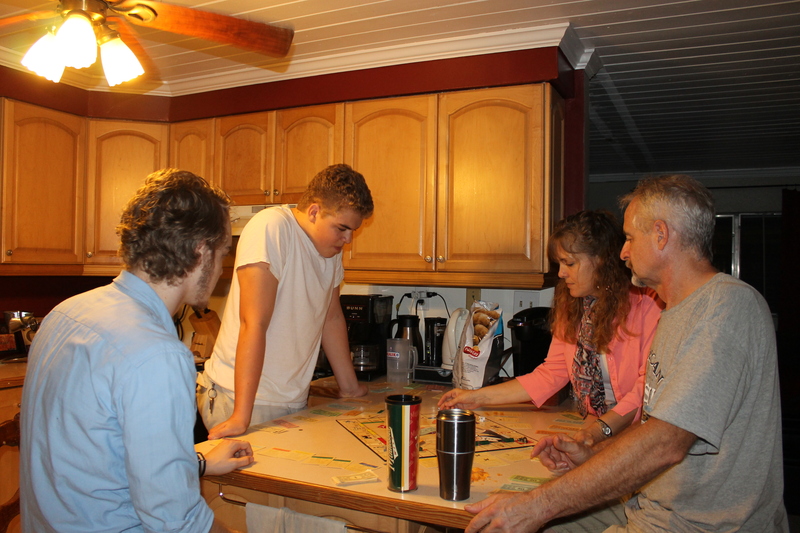 Sunday, it was just us, and so we enjoyed a game of Monopoly together. Zachary won of course! May we please refer you to our last blog entry? The prayer requests are pretty much the same! Thank you for your interest in our work and lives. We really appreciate your support for what we are doing to further the Kingdom of God on this earth. May God bless you, and may you have a very HAPPY NEW YEAR!